Control in its purest form. Esper Draw-Go is a deck that is built to be as close to pure control as possible in modern. Originally inspired by a deck used by Guillaume Wafo-Tapa at Grand Prix Boston-Worcester 2014, it has caught the attention of many control players. The goal of the deck is to navigate the game into a state where you have everything and your opponent has nothing. With a legitimate source of raw card advantage and high impact sideboard options, esper allows you to always have the right answers in your 75 for any given match with enough card draw to find them on time. Why play Esper over Jeskai Nahiri or Grixis? With the recent addition to the format of Nahiri, the Harbinger and Lightning bolt being the best card in modern, it’s certainly a reasonable question to ask. The answer speaks to the ideological differences between the archetypes—UWR has always been about velocity—chaining electrolyze and snapcaster mage, trading 1 for 1 with most opposing creatures. The downside is that Jeskai Nahiri has troubles against unfair decks that are resilient to spot removal—it has an almost impossible matchup with Dredge outside of Rest in Peace (which doesn’t even see play in Jeskai Nahiri most of the time! ), it can have great difficulty grinding through jund or abzan midrange, and it has difficulty effectively stopping Ad Nauseum and various other combo decks. Grixis Control traditionally has many of the same issues, sacrificing the white sideboarding haymakers and access to celestial colonnade for more raw card advantage via Tasigur, the Golden Fang, Kolaghan’s Command, access to discard spells for unfair matchups, and better answers to resolved planeswalkers and the midrange decks. It sacrifices some (but certainly not all!) of the power against aggressive creature decks in favor of a more stable long game when things come down to an attrition war. Esper draw-go takes things to the complete end of the spectrum—by sacrificing access to lightning bolt, we give up a lot of potential strategic positions: the end of turn Bolt-snap-bolt sequence to turn the corner quickly in unfavorable matchups, the expanded suite of 8+ spot removal spells, the ability to easily deal with resolved planeswalkers via burn spells, a rapid “I win” button via Emrakul, the Eons Torn and the ability to rapidly abuse the delve mechanic to gain tempo. In exchange for these not insignificant sacrifices however, we get a lot of raw power. By removing our reliance on red, and on playing an even split of three colors in game one, the manabase becomes less painful in practice. By having access to both black and white, our post-board games UNIVERSALLY improve after sideboarding—there is no matchup that becomes worse post board, even if they aren’t good to begin with or remain even. In a format for which swingy sideboard cards are a key component of metagaming and for which aggressive use of hate cards to win a specific matchup is the norm, this is an often underestimated advantage. By going almost entirely without creatures, we blank the most common form of interaction in a format defined by powerful creature based interactions. And finally, perhaps most importantly, we get access to esper charm. While jeskai nahiri and grixis control may have ways of gaining card advantage, once the midgame gets going there is no other deck in the format that can compete with the typical esper card draw suite of esper charm, think twice, sphinx’s revelation, and cryptic command. Note that he indicated that the 4th think twice should have been played over the singleton shadow of doubt, and was a last minute change that shouldn’t have been made. Because of the large amount of confusion by new players entering the thread, I’ve determined that it’s necessary to include some basic information about the draw-go shell and its pieces on a theoretical level. 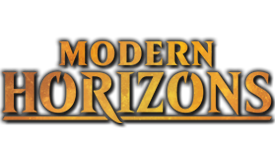 Many players coming to this thread in their explorations of modern will be familiar with traditional control styles from standard metagames, and therefore the functioning of a more tap-out style control deck. The first, and primary, difference between draw-go and tap-out style control is what “stabilization” means. We talk a lot in control circles about “stabilizing” before winning (or having things go terribly wrong) but that can mean very different things. In standards past, it could be slamming a baneslayer against your opponents board of 8 power (across three creatures). It could have been a wrath of god or supreme verdict followed up with a removal spell and countermagic held up for the next threat. It could be a grave titan hitting the table on your side. For Esper draw-go, stabilization generally refers to setting up so that your opponent no longer has any active threats on-board (or in-hand in the case of combo). Unlike Grixis, Jeskai Nahiri, or blue moon, Esper draw-go almost never has the option to race an opposing board state—by foregoing burn spells, we’re almost exclusively forced into answering the threats presented by our opponents as they arise, rather than answering early threats and transitioning to a favorable beatdown gameplan, as is typical with the red-splash control builds. On the other hand, this means we rarely run out of steam—you will not hear as many bad-beats stories from esper players about multiple topdecked lightning helix changing the race math and costing a player a game, because for Esper, the raw amount of card draw involved in stabilizing the game means we rarely lose once we stabilize. On the other hand, the emphasis on generating an extreme late-game advantage means that certain properties that are extremely common in modern are nonexistent in Esper draw-go. If you ask any serious modern player what the most important attribute for a deck to be “good” is, you will often hear some kind of explanation that boils down to “be proactive”. In general, this is good advice in modern. Even UWR has the option to proactively start smashing face with colonnades after a flurry of bolts and snapcaster mages. Esper draw-go is not that deck, is not on that gameplan, and I would argue cannot effectively execute that gameplan. A couple of years ago, UWR was considered a tier one deck in modern, and a lot of that was on the back of effective use of celestial colonnade trumping the majority of other creatures that saw play in fair decks at the time. Think about this for a second—Serra Angel was effectively trumping everything that saw heavy play in mainboards of the format. Serra Angel. Looking forward to the metagame at the time of this current iteration of the primer, UWR control is now a tier 2 deck at best, and the dominant “fair” cards of the format are lingering souls, siege rhino, tasigur, the golden fang, and gurmag angler. After a brief look at the history of the format and the changing trends, we see a pattern emerge—control succeeds in trumping the format when, at a minimal cost to deck construction (manlands, or a very small number of slots) it is possible to invest a large amount of mana to trump the most efficient beatdown creatures of the format or when some form of “I win” button exists. With the printing of the delve creatures in Khans of Tarkir block, and the resulting trend towards 5 toughness creatures being the “efficient beaters” of choice, colonnade was no longer a sufficient mana sink to ensure late game dominance. Enter White Sun’s Zenith. White Sun’s Zenith provides a late game mana sink that can repeatedly go way over the top of most board states that a fair deck can present, but at the cost of investing even more mana than colonnade. If we as control players wished to take the required step to continue providing a late game mana sink trump, then we needed to take the necessary steps to get there—doubling down on hitting land drops, conceding our chances of “turning the corner” at an early stage of the game in favor of more lasting/powerful answers, and disciplining ourselves to play patiently and carefully. WSZ made an effective tool for grinding out fair decks of the format, we needed to understand that our priority was to draw cards and hit land drops unless we were forced to interact with our opponents, and that our deck construction choices should be made to maximize that play pattern—our ideal game involved playing a tapland on the first turn, and curving think twice into esper charm or a flashback, into another esper charm or pair of think twices, into more of the same, into eventual spinx’s revelations, into an eventual zenith for 10. In other words, our ideal game included nothing but playing card draw spells and a one-shot kill. Anything that didn’t contribute to this ideal game plan or improve our chances of executing this game plan didn’t belong. That being said, Modern is not a static format. Wizards saw fit once again to shake up the format, by banning splinter twin, printing the eldrazi menace, unbanning Ancestral Vision, and printing Nahiri, the harbinger. Most recent iterations of Esper have continued this progressive theme—as a result of recent format shifts, linear agro has started to dominate the format, be it dredge, infect, suicide zoo, or burn. Additional copies of snapcaster mage, a transition to secure the wastes over white suns’ zenith by many, the usage of blessed alliance, and even a reduction in the usage of spell snare fall among the many changes between lists in recent months. Congratulations, you’re reading this section. We all love talking about control in this thread, but every time a major event happens and anything remotely in esper colors gets camera time, we get new people showing up who don’t know anything about the history or evolution of the deck. Rather than ask them to read three or four hundred pages, we’ve condensed some of the more common “stupid” questions into short passages here. If you ask a question answered in this section in the thread, don’t be surprised if people laugh at you, ignore you, or call you silly names. I feel like some people here are getting a little carried away with the Think Twice thing. I just want to say - I played 3 copies of Think Twice at GP Charlotte. And after 15 rounds (+ a 4 round side event the previous day), I decided that I missed having a 4th copy. Even though I played vs Burn in 5 of those 18 matches and boarded some out, I still wanted 4 main. The ability to look at black discard and say "Even if you discard my source of CA, or my answer, I will still draw more cards and find another answer" is one of the things that I feel like this deck does better than any other. Most look at this card and ask "why not <insert other cmc 2 cantrip here>" The answer is, this isn't a cantrip. This is raw card advantage, plain and simple. It's part of the engine that ensures we hit land drop after land drop after land drop, and what allows us the versatility to use esper charm for its other two modes when relevant instead of just being a hard-to-cast divination at instant speed. The first mistake many make with this deck is cutting think twice for other spells, and it takes a good number of reps with the original deck to understand how much losing think twice cripples the engine; run four, board them out if necessary, but run four. Many people look at the 5 mana investment and question why we don’t play spells like Jace’s Ingenuity instead. The answer actually lies in the split nature of the mana costs on think twice—two mana is easy to hold up paired with a spell snare or path to exile, and three is easy to pair with 1 mana spells as well. In the late game, the small costs enable us to continue drawing cards without risking our opponents casting a powerful instant speed spell while we tap down (quicken into scapeshift; ad nauseum). Finally, most other options don’t help us with the primary function of our card draw—continuing to hit land drops. It does no good to have a 5 mana draw spell in hand when you’re stuck on three lands. Think twice allows us to dig in that situation while still representing a modicum of interaction. The short answer is that it’s bad. The long answer is that we as a very controlling and reactive deck want to stop our opponents’ threats and generate card advantage of our own. Discard fails at generating card advantage and promotes 1 for 1 trades at a tempo disadvantage, because the player using discard spells invests mana to answer a threat that their opponent has yet to invest mana (tempo) into, and so if they have a redundant threat you’ve put yourself behind in the tempo (and life/pressure) race. This also hurts the plan of generating card advantage, because when you draw discard spells and your opponent is topdecking, they might as well not even be cards in your hand which means, in the deck looking to go long, playing discard intentionally hamstrings your primary gameplan of going long. From a tactical perspective, investing mana in proactive 1 for 1’s is bad when we could otherwise represent interaction, and continue to draw cards if our opponents fail to present a threat we have to respond to—our deck’s version of punishing a stumble. It shouldn’t have to be said, but as with everything in control theory, anything is fair game after sideboards are involved, and discard is often an important part of our arsenal post-board against certain decks and archetypes. Ancestral vision is an excellent draw spell. However, in a deck looking to fluidly dig through the midgame into an extremely resource advantaged late game, ancestral vision causes awkwardness at a terrible time. Suspended on the first turn, it’s excellent, no matter what archetype you play. But, any time between turn two and about turn 9 or 10, it puts us in a really awkward spot—putting it on suspend in the first place makes our curve awkward for starters, and then when we draw into them later on, it puts us in an awkward place where we have future card advantage coming, but those cards aren’t available immediately, so our opponent gets to re-establish a board presence and pressure. It just leads to awkward tempo whereby it takes much longer to actually get in the “driver’s seat” for the match when you have to basically re-stabilize two or even more times in a game, as opposed to smoothly turning the corner on or about turn six. By the time that awkward tempo delay is rendered irrelevant, it’s a tad better than either esper charm or think twice, but really, we’d rather be looping cryptic command and sphinx’s revelation with snapcaster mage, going waaaay over the top of what our opponent is doing, not sitting and ticking down time counters and getting bolted in the face. This argument applies only to mainboarding it—everything is fair game in the sideboard, as long as it forms a cohesive and compelling plan for your targeted matchups. In the mainboard, it doesn’t actually provide consistent card advantage—in some matchups it might, but as a general rule of thumb it involves trading cards for time chump blocking. Personally, in most instances I would rather have an extra board wipe to buy that same amount of time, and if the board wipe doesn’t fit the bill, you’re most likely worried about matchups that would be better served with engineered explosives or timely reinforcements in those mainboard slots. In a dedicated tap-out build, this is not the case—as part of a cohesive package with discard and planeswalkers, it can be an excellent choice, but for the typical draw-go shell it does nothing effective. Ironic that I’m making sweeping generalizations against sweeping generalizations. As a general rule of thumb however, there are very few absolutes for control decks. A year ago, the last time this primer was thoroughly updated, spell snare was a sacred cow, and only in very hostile metagames was it cut down to three copies. At time of re-write, some lists eschew spell snare entirely. With that being said, there are people in this thread who’ve been playing and testing the deck for two years. Some of us have been playing for well over a decade; many of us have background experience in similar formats like the old extended. If you’re new here, ask questions about our statements—it might help you understand our perspective. Don’t come into the thread and tell us we’re ALL wrong and that you have the solution we’ve missed. There is one time I can remember it happening and being correct. Every other time, someone new ended up with egg on their face and got off on the wrong foot. There’s a reason that for almost two years, nobody played serum visions; there’s a reason most people who test heavily on MTGO are slowly transitioning to them now. There’s a reason nobody really plays mana leak as more than a singleton copy, if that. There’s a reason negate often gets the nod over dispel. There’s a reason we run with the mana bases we do. We welcome you guys to ask questions, we welcome you to join us in testing, but we ask that you recognize that there is a learning curve, and that we aren’t stupid—it’s far more likely that about a dozen dedicated pilots have tested something and found it didn’t work or that there were better options than it is that we’ve all missed something critical. When Secure the Wastes was spoiled, some people did testing with it, and ultimately dismissed it for a return to WSZ. A solid year later, Wafo brought it back in daily events in a metagame that was soft to it—the people in the thread hadn’t made that exact shift, but most of the other changes he made in the list were already in progress in our own testing. Esper charm does far more than draw two cards, in fact the discard mode is just as powerful if not more so. The marquee card of the deck has three modes which are fairly simple to understand. It can cast divination, mind rot, or demystify all at instant speed. It seems simple enough, but the mind rot effect, or “fun mode,” is secretly the best effect that the charm has and knowing when it is correct to use it as a discard spell takes some experience to get right. Using your primary draw spell as a mind rot instead of draw power is a very odd thing to do in a control deck, and noticing when it's correct is difficult. The best way to learn is to just make that your default mode when testing the deck and seeing what your opponent typically discards. In game 1 against fair decks it's rarely correct to mind rot as there's going to be a bunch of dead removal clogging up their hand so it effectively does nothing, but sometimes it's a home run. One example is affinity. They dump their hand, you answer their first power card and suddenly they have 2 cards left in hand. Mind rot them. You're going to tag bare minimum one more super dangerous card that might be difficult to deal with based on what you have in hand. If it's a plating and you don't have an answer, you might not draw an answer with a divination from the charm before the plating just kills you. If they just drop 2 extra mox opals that they can't play, that's fine. They weren't going to win that game in the first place. Sometimes it can be used against burn just to force them to dump their spells when you say so, when you are ready to act. This can sometimes be used to set up them to dump their burn early and then you untap, revelation for X = Many, and win the game. Also if they're tapped out or low, mind rot just gained you 6-8 life by taking two burn spells they couldn't cast. No combination of two cards on the top will do that for the low price of three lowly mana. The big deal with the discard mode though is against combo decks and the best example of this is scapeshift. In order to win the game they need lands, scapeshift, and a lot of protection. Using the discard mode makes them choose which they think they'll need the most making it much easier for you to fight over scapeshift. You can imagine that your match against them is 0% to win but it goes up by 20% every time you mind rot them. So 5 esper charms cast with the help of snapcaster mage is basically an assured victory. Once you empty their hand they either need to naturally draw the extra ramp and lands PLUS scapeshift, or they just need the scapeshift to win. In either case that's the last card they have which means no protection and a single cryptic command is all you need to stop them while your ambush vipers keep pecking away. Don't forget that if they have just 1 card left you can cast it in their draw step the same as you would cast a vendilion clique to make sure to not only get full value but take away their entire turn. It's much more of an art than a science, but those are some of the general things that you can use to guide yourself as to when to just go to the face or when you should really just dig for some business. Most lists don't run a full set of snapcaster mage. Here's the argument for why 4 of the format's best blue card might not be correct. A general rule of thumb that I use, if you only have 8-10 1-2 mana hard answers (path, spell snare, logic knot) two snapcaster mage is sufficient, if you have more than that (say an extra pair of removal spells or an extra negate or something) then the third snapcaster is perfectly fine. Esper doesn’t have the bolts, thought scours, and gitaxian probes to take good advantage of snapcaster mage in hand, so the 4th snapcaster mage is almost always unnecessary. Slower lists that employ the full playset of snapcaster mage can utilize bouncing snapcaster mages with cryptics (and with flashbacked cryptics) to stretch their value further, while lists with fewer snapcasters may not be able to utilize the snapcaster-cryptic loops because of the need to rebuy key sideboard spells or slot removal against decks with large quantities of manlands. This is the main point of contention among people developing esper control, how many snapcaster mages is correct? Snapcaster is the best blue card in modern so why wouldn't we want to run a full set of four? There are two reasons. Firstly, we don't run enough copies of lightning bolt. I mean this in both the literal and figurative sense; snapcaster mage is at its best when you're able to abuse it in the early game to get ahead on value and tempo; lightning bolt is the marquee card to pair with it. Not only does esper control not play lightning bolt, we don't have enough other "cheap" (one or two mana) interactive spells to reliably abuse snapcaster mage in the early game; Tiago exists in our deck primarily as a flexible value tool for the midgame, not a way to lock down the early game the same way delver, twin, and UWR control use it. The second reason is that we already tax our graveyard heavily. White Sun's Zenith shuffles itself back in on resolution, logic knot demands a healthy graveyard to remain live for the entire game, think twice already has flashback, and we tend to not play as many fetches as the UR decks. All of this leads to esper having much greater constraints on its graveyard, constraints that are hard to work around with more snapcaster mages. 1. The first one is virtually a freebie to run, but each one that you add in is worse than the first. This also includes making logic knot worse and snapcster mages not as good with such heavy competition for the same resource. 2. If you want to run multiples of them you must build your deck to support it. This means trimming your flashback spells and snapcaster mages, or increasing the number of cheap disruption spells you run. 3. You'll want to run the full set of 8 fetchlands to help enable multiple copies. As many lists already run that many, this might not be a large concern. The lack of lightning bolt and electrolyze reduces our total number of premium removal spells. Instead we have to turn to the classic color of black for additional removal options and some more obscure white spells. Primary maindeck considerations: path to exile, oust, blessed alliance, condemn, dismember, honorable mention to slaughter pact. Path to Exile – The best removal spell in the format. It hits everything and keeps them dead and the extra land is mostly irrelevant. You want 4. Blessed Alliance—This new printing from Eldritch Moon solves a lot of the minor issues with the deck, having utility against infect and burn while also being relevant against zoo and midrange decks. It gives outs to hexproof/indestructible threats, and it has scalability into the late game. Hero’s Downfall—The most flexible removal option for typical mainboardable threats. Best in a teaching shell because it is expensive and doesn’t exactly match up well against ETB/value creatures, but it DOES kill Liliana of the veil. Utter End – A new card from Khans of Tarkir. Unable to hit man lands, but the exile clause is strong and it hits anything else we care about. Anguished Unmaking—Almost strict upgrade over utter end, but the life loss is a relevant concern. Slaughter Pact – A solid option that can lead to some blow outs against twin and unsuspecting opponents. It allows you to tap out while keeping removal open and is very nice with snapcaster mage. Disfigure – While unable to remove anything sizable, if you want early game interaction this is a solid choice. It can handle turn 1 mana dorks, dark confidant and is another cheap spell against affinity. It also has the disadvantage of being unable to hit manlands outside of a nexus from affinity. Mortify – Should enchantments become a bigger force in modern this card would be amazing. But as it stands the only enchantment that sees much play at all is blood moon which is not enough of a reason to run a 3 mana removal spell. This may change in the future, but in the meantime consider this just a reminder that this card exists. Sunlance – Another option for a turn 1 spell that kills something. It has the benefit of hitting 3 toughness creatures like wild nacatl or merfolk before they get completely out of control, but it does have a real drawback. Being sorcery speed means it cannot hit man lands and nonwhite means you cannot hit a voice or kitchen finks which can be a problem. If you're interested in them, it may be better suited to the sideboard. Dismember – As cheap as you can get, dismember is perfectly fine as it hits quite a lot of things and we can pay the full 3 mana if necessary. However, without an easy source of lifegain in the deck, it isn't recommended to run more than 2. Smother – And other 2 mana black removal spells like go for the throat and doom blade. All of these have their own merits and can fit into most any list. Of the options what you have to consider is that GftT is dead against affinity, doom blade cannot hit dark confidant, and smother cannot hit restoration angel, olivia voldaren, and other high cost threats like the delve dudes. The metagame that you expect should decide which of these you want, if any. Another potential inclusion is devour flesh if you expect boggles or UWR geist to be especially popular. Geth's Verdict is another edict-effect available in our colors. Bear in mind that Blessed Alliance probably now replaces most of these other edicts in effectiveness. 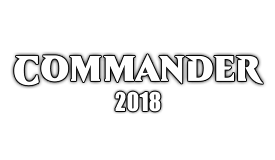 Condemn – A more restrictive version of path to exile. Condemn has the added bonus of some backdoor, desperation mode, life gain when used on your own creatures which may or may not be relevant. What it does well though is that it's only one mana, instant speed, and will make sure that whatever you target is off the board. Great against persist creatures and large threats, but bad against anything that doesn't have to attack. Creatures like twin combo pieces, voice, and bob are the primary threats that can safely ignore condemn. But if you're looking for another no nonsense 1 mana removal spell then this is your best option. Geth’s Verdict—And other 2 mana edict effects. Excellent against boggles. Other options with similar effects include away, cruel edict, Blessed Alliance, and devour flesh. Every control deck needs some form of counter magic to answer threats that absolutely cannot resolve. Primary maindeck consideration: Cryptic Command, spell snare, logic knot, Honorable mention to negate. Cryptic Command – This is one of the main reasons to play blue in modern. Super powerful and super flexible, you'll want at least 3 in your list with many players opting for the full set. It is expensive at 4 mana and can clutter up your opening hands, but the power level and flexibility makes it well worth the price. Also worth noting is that the bounce/draw mode combines especially well with esper charm's mind rot effect to handle problem permanents that resolved before cryptic came online. Note that this is not the sexiest card postboard in blue mirrors, and I find myself cutting down to at most one copy postboard against anything twin, most delver decks, and any sort of control mirror that happens to occur. Mainboard, the synergy with grinding out timewalks via the tap/bounce snapcaster mode is obscene, you can often buy three or four extra turns by repeatedly time walking using a single snapcaster mage and already-cast cryptics. Spell Snare – Two mana is the most common casting cost for threats in modern with things like voice, goyfs, bob, cranial plating, remand, and snapcaster. A one mana hard counter for some of the most common cards in the format is a great thing to have access to, but against some decks it can be dead. It is at its worst against living end and game one against collected company decks, and excellent in blue mirrors and against affinity. Three is most often the number people start with, rarely is it correct to play less than two, and four is often quite good (especially in our harder matchups) and not exceptionally punishing if we draw multiples. Negate – Negate is usually seen as being strictly a sideboard card, but with some of the biggest threats in modern being non creature spells (karn, liliana, birthing pod, batterskull) it is worth considering in the main deck. Be aware that this is highly meta dependent and will either be an all-star or completely dead. Use with caution. Logic Knot – The most obscure card featured in the basic skeleton of the deck is this one. It has anti synergy with snapcaster mage and it does very little with an empty graveyard, which are certainly strikes against it. What it does add to the deck, however, is another 2 mana unconditional counter that is still turned on in the late game and effectively only costs UU, which is a big deal. Most people will not be expecting it and will gladly play out stuff into a mana leak they think they can pay for and end up getting blown out. It allows you the option of attacking with a colonnade while still secretly having counter magic protection and is cheap enough that you can use snapcaster mage with it effectively by delving excess fetchlands and other cards that you don't intend to snapcaster later on. Bear in mind that the more logic knots and more snapcaster mages that you play the worse the logic knots get. Two is generally the correct number, but it’s not bad as a bullet. Because of how the delve works, we really don’t want to play more than two without careful consideration for how we stock the graveyard. Condescend – Another soft counter that is at its best in the early game. It may cost more than mana leak in some situations, but it has the upside of always being turned on. If you're unable or unwilling to spend the mana to counter something you can just cast it for zero to scry 2 targeting either their spell or one of your own. Be sure to sequence things properly with this and your fetch lands so that you don't shuffle back the cards that you scry to the bottom. annul—Excellent sideboard tool for twin, as it answers every spell they can cast that we care about except for planeswalkers. Hits blood moon even against turn two ritual-blood moon from the nasty storm and goryo’s vengeance decks. Hits anything relevant out of affinity, it answers batterskull, it answers choke on turn one after they slam a mana dork, it’s just a super flexible sideboard slot that’s good against a huge swath of the format. Even counters those early hive minds. dispel—excellent sideboard card for blue mirrors, but not necessarily something we really want to mainboard. Sees occasional 1 of mainboard play, but negate is probably better for the mainboard due to its flexibility. Excellent effect to have access to in sideboarded games. Pact of Negation—not a common selection, but it can be excellent if you find yourself just needing to force through a zenith. Certainly play these if there’s a good amount of ad nauseum or goryo’s vengeance decks in your local metagame, as those decks like to go off at instant speed in response to our casting spells. The best reason to play esper is that it allows us to run a much higher density of card draw spells. Here are our options; typical mainboard considerations are esper charm, think twice, and Sphinx’s Revelation. Esper Charm – The reason to play the deck in the first place, the card is amazing and always gives you value. Play 4 with no exceptions. Sphinx's Revelation – A powerhouse in standard that has shifted it's way into modern, revelation acts as a finisher in most games as casting one for X=5+ typically ends the game. That being said it is very expensive so you don't want to run more than 2. Think Twice – Simultaneously the worst and most necessary card in the deck. This is your go to early game cantrip to help hit land drops while providing positive card advantage later in the game. It is also one of the best cards against the BGx decks as pitching it to liliana is nearly free and sometimes they have no choice but to take it with a discard spell. You will always want some number of them, especially in matches where the primary mode of esper charm will be mind rot. When you're using esper charm's discard mode you'll need some way to gain card advantage and this is the best way to do it. Ancestral Vision—Recently unbanned in the format, testing by the majority of the members in the thread has found it to be ineffective for what our deck seeks to accomplish. Wafo played one in a flex slot at the most recent modern GP, but for the most part it just leads to clunky midgames for us, when we most want to be smoothly chaining draw spells and powering into the lategame, not sitting around and waiting for a burst of cards that forces us to stabilize again. Compulsive research – Not a great option, but also not a terrible one. Compulsive is a straight 2 for 1 if you pitch a land. The problem is that you typically want to play a land every turn, but this does allow us to dig much deeper and is only three mana in total. Painful Truths—Not likely an option that will see play, but for the sake of completeness, this is a 3 mana draw-3. Jace’s Ingenuity—not really something that sees play, but it’s an option to consider particularly for tap-out oriented builds. Modern control decks depend on maintaining a relatively high velocity in order to compete with the fast linear decks, and cheap cantrips help power through our deck, generate card advantage with snapcaster mage, fuel delve for logic knot, and in some cases form a key component of Esper Draw-Go. Ideally, we want to select cantrips that can generate card advantage in appropriate matchups while cycling in others. Run between 0 and 6 cantrips, meta dependent. Past mainboard inclusions are remand with honorable mention to shadow of doubt. Currently, serum visions sees some play, and Hallowed Moonlight is perfectly reasonable in recent metagames. Remand – Remand is a cantrip first and potential counter spell value second. If you want to run them you should consider them a part of your card draw section and not counter magic. It is at it's best against other counter spells and decks with a heavy flashback element, which tend to be snapcaster decks with their own counter spells. Shadow of Doubt – With access to black mana this card becomes much easier to cast than in UWR which makes it a much better consideration. It can counter a scapeshift or kill a fetch land. Weather or not this is what the deck wants is up for debate, but it is one of the better options of “cantrips that might do stuff". Note that this is powerful in conjunction with path to exile and ghost quarter. Squelch - A higher-risk cantrip than previous listings, it does have the advantage of being powerful against tron and fetchlands in general, it can buy time against manland activations, liliana ultimates, etc. Better in a mystical teachings build. Spreading Seas - Since we can't really afford to play a full complement of tectonic edges due to our strict mana requirements, this is a great option to deal with man lands. It is also a main deckable card that can do a lot of work against tron which is one of our worst match ups. It's cheap, it draws a card, and it has the potential to do something to mess with your opponent. It also has the fringe but very real ability to be cast on your own fetchlands to let them tap for blue mana. The biggest downside is that it is sorcery speed which is a noticeable draw back for cantrips to have. Twisted Image—This cantrip is excellent against birds of paradise and noble hierarch, and in corner cases can save creeping tar pit when used to block 2/x’s. Anticipate—I will start by saying, don’t replace think twice with these—it’s been tried, tested, and rejected, for good reason. That being said, in some metagames this may be worth slotting into other cantrip slots, although I see it being more useful in a tap-out oriented build to enable digging for key pieces, like planeswalkers or big fatties. Serum Visions—This is not a good candidate for the draw-go builds. That being said, its inclusion (along with 3-4 snapcaster mages) is excellent in more tap-out oriented builds, both to feed delve and smooth out the early game. Peek—deserves consideration as it is a 1 mana instant speed cantrip. In general this effect isn’t worth it, but some have had success with it as a 1-of, particularly in teachings-oriented builds. Don’t run more than one, but it can be an interesting fun-of. Hallowed Moonlight—beats collected company, nahiri ultimates, lingering souls, chord of calling, and hits dredge. Even in modern, midrange decks can build up a very impressive board presence so we need a few panic buttons that we can push against the beatdown decks. Primary mainboard consideration: Supreme Verdict, Honorable mention to Wrath of God. Engineered Explosives for sideboard play, alongside occasional hallowed burial. Supreme Verdict – Simple and pure, this is the go-to wrath for most people as the cannot be countered clause does come up a certain number of times while regeneration usually isn't a thing in modern mainboards. Run at least two, pretty much without question. Most currently run the full playset. Wrath of God/Damnation – Because regeneration is sometimes a thing in modern. More specifically though is Thrun, the last troll which is a very common sideboard card in any deck with green mana; Golgari Charm can also see sideboard play, and Ezuri, renegade leader is a thing. Wrath is your best way to ensure that you won't just scoop to it. Be careful with selecting the appropriate one for your mana base, and remember that blessed alliance is probably the better out to just thrun. Black Sun's Zenith – Double black is a pain and the zenith clause means no snapcaster re-buys on this one. Why it does get a mention is that it puts -1/-1 counters on creatures that don't go away at the end of the turn. This means that even a small one can neuter the board so that it is effectively a wrath and it is also a clean sweep against persist creatures. If your mana base can support double black this is a good option if you expect collected company to be prevalent in your metagame; also has utility against delver as a 3 mana board wipe they may not be expecting, stops elves in their tracks, and can take the place of White Sun’s Zenith as the inevitability option to avoid decking if that’s a concern in the metagame at any given point in time. Hallowed Burial – A high price at 5 mana, but this option ensures that nothing will be on the battlefield after it resolves. A decent option if you're afraid of collected company decks, but is not very good against any of the aggro decks in the format. It is also great against the boggles deck as a way to get around their totem armors. It generally isn't a good idea to rely on this as your primary sweeper, but instead as a compliment to your other 4 mana options. Terminus—Ya feeling lucky kid? Otherwise, see above. That is, until we get something that does a brainstorm impression, then you’ll wish you already had your foil copies. Drown in Sorrow—this is a modern legal card. There may be a metagame at some point in which you want these in your sideboard. Zealous Persecution—excellent against midrange lingering souls decks, particularly for the esper decks that are on a tapout plan to begin with. Eventually we generally want to bring our opponent to zero life and celestial colonnade, while amazing, sometimes needs a little bit of help. 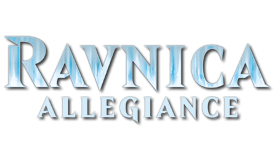 Primary mainboard consideration: snapcaster mage, White Sun’s Zenith, secure the wastes, Celestial Colonnade; Honorable Mentions to Vendilion Clique and Grave Titan. Gideon Jura – Another massive 5 drop. Gideon is king in fair matches that don't have path to exile and is able to provide card advantage by either picking off attackers or forcing opponents to swing into our waiting colonnades. Play it mainboard or don't play it at all; there are better, more specific options in the sideboard. Elspeth, Knight-Errant – Eslpeth is one of the best planeswalkers printed and is a great option to have. Since she is at the sweet spot of 4 mana, plays both offense and defense, she is always going to be useful in every match. The downside of her is that she is still another 4 drop, sorcery speed, and can be too slow at times. The potential upside outweighs the negatives more often than not and is a very strong consideration for either main or sideboard play. It's worth mentioning that if you're playing with this version of elspeth, you may want to consider increasing your total creature count as to make better use of her ability to "pump and jump" and put out serious pressure. Performs better the closer you are to a midrange deck. Ashiok, nightmare weaver – Amazing against all of the fair decks in game 2 but miserable in game 1 when they have their abrupt decays around. Against BGx, ashiok is a tarmogoyf that gains some life by fogging a few attacks. It's a great option for the side, but somewhat questionable in the main. There are likely better options for sideboard play, though it is broadly good against BGx decks of any flavor. Elspeth, Sun's Champion--Excellent against most midrange decks, "big" elspeth provides a faster clock with much more pressure than her cheaper counterpart, but is more expensive and harder to resolve. General consensus is that big elspeth is better for the hard control builds, while the Knight-errant is stronger in more midrange heavy/geist style builds. Jace, Architect of Thought—excellent against lingering souls and young pyromancer; also reasonable against twin, although it doesn’t stop pestermite. Provides grindy card advantage in many matchups. Flexible planeswalker that isn’t a great mainboard win con, but is excellent sideboard material. Can absolutely shine in some metagames. Sorin, Lord of Innistradp—not for draw-go builds, but performs excellently in tap-out builds. Sorin, Solemn Visitor—performs well with lingering souls builds, very mainboardable in tap-out style esper. Excellent against burn and zoo, poor against twin. Ultimate is lights out against BGx and most tribal decks. Vendilion Clique – Hand disruption and card filtering attached to a 3/1 flying body is always nice to have. It is very weak to electrolyze and dies to bolt, but it has flash and allows us reasonable main deck hand disruption and a legitimate clock against combo which makes it a serious contender for a slot. Play 0-1 in the mainboard and 1-2 in the sideboard. The first one should be in every 75. Teferi, Mage of Zhalfir – Turns all of our counter spells into last word and prevents them from countering our threats. Teferi is a great card for control matches and combo decks that use counter magic to protect themselves. Depending on the meta he can range from being an all star to a wasted slot. Geist of Saint Traft – The faerie god-father of UW decks everywhere. If you're especially worried about your combo match up and want a big time threat then he is your man. Very few decks will be willing to leave in an answer to him on the off chance that you might have it. He also comes in against control and other decks that are light on creatures to catch them off guard. Keep in mind that being on the draw makes geist significantly worse of a card but when backed up with thoughtseize it is nearly unstoppable. Running a play set of geists in the board is a very high risk, high reward gamble that can either pay dividends or end up burning you. snapcaster mage: In general, this is one of the best tools blue has in modern. It both enables a fast clock and allows us to efficiently match our answers to our opponents threats without leaving ourselves crippled in game one against one matchup or another. Two has thus-far seemed to be the optimal number, though some people play three. Those that play four run into problems supporting logic knot and other delve spells, in addition to having snapcaster mages occasionally just be dead in hand. Baneslayer Angel--Baneslayer Angel is one of the most powerful stabilizing creatures available to Esper Control. More glass-cannon than other options, it dodges abrupt decay and lightning bolt while thoroughly trumping lingering souls. A resolved baneslayer angel stalls out most board states immediately because controlling the sky is extremely important in stopping the grindy abzan decks and their lingering souls. High-risk high-reward sideboard card, but often perfectly fine with a mix of similar threats. Grave Titan--The Gravy Train is one of the single most powerful on-board threats in the modern card pool. 10 power across three bodies on resolution, each attack nets an additional pair of bears, deathtouch insures it trades with any other creature in the format. Other titans may be better overall, but in terms of just taking over the board, nothing at a comparable mana cost beats the grave titan. I've personally only ever lost one game in which I got to swing once with a grave titan, and oftentimes he just draws concessions if you resolve him on an empty board. Blood Baron of Vizkopa--BBV is another versatile finisher threat. Probably a better mainboard option than baneslayer angel or a batterskull, BBV is immune to nearly all single removal spells that see common mainboard play in the format. Beware of decks that bring in rending volley or combust to kill colonnades as BBV is not actually hexproof, it just feels that way most of the time. 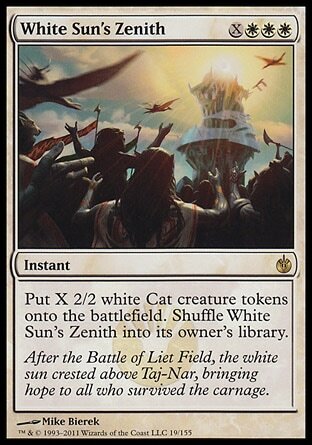 White Sun's Zenith – This is our ultimate form of inevitability as the longer the game goes the more instant speed kitties we will get. It is expensive as a finisher, but casting it for just 3-4 is more than most decks are able to handle. Since it shuffles back into the deck we are able to fire it off for a relatively low amount when needed without worrying about “wasting” our finisher. Most lists play 1. Secure the Wastes—New tech, this card usually sees play as a 2 of, because it pairs with snapcaster mage for larger quantities of chump blockers in the earlier stages of the game if necessary, and later on it can be rebought with snapcaster mage to close things out. Better in a more aggressive metagame, falls short of Zenith’s power in more controlling or midrange metagames, or any metagame with a large presence of collected company. Celestial Colonnade—technically this is a win con. Really, every esper build should just have some of these and it shouldn’t have to be mentioned, but we do things the correct way here because we’re control players. Recent lists play less than four, so do consider the cost of it coming into play tapped. Creeping Tar Pit—planeswalker slayer. If your metagame somehow has too many planeswalkers appearing, this is your pit. Also reasonable for clocking in a control mirror due to the cheaper activation cost. Batterskull – If you're in the market for another big top end threat to help end games sooner this is a solid option. Batterskull has somewhat fallen out of favor with the rise of siege rhino, tasigur, the golden fang, and gurmag angler. It is worth noting that this is easy to cast under a blood moon unlike most other options. Lingering Souls—Not the best in draw-go mainboards, it shines in tap-out style decks; can be an excellent sideboard component for matchups in which the draw-go builds wish to morph into a tap out style of gameplan. Black Sun’s Zenith—Gets the honorable mention here because I have in fact won a round at a GP during the pod days by decking my opponent after every other win con in my deck was exiled by a combination of sin collector, surgical extraction, and path to exile. Blue Sun’s Zenith—We’re going to mention this for completion’s sake, but if you’re really that interested in killing people with this, there’s an entire deck thread in the modern deck creation subforum for that. As anyone who’s played control in standard for any length of time, one of the most important aspects of a control deck is having rock-solid mana. Click below for a bit of a primer on esper mana bases, but if you copy one from any of the stock lists above, you’ll find that it serves reasonably well, in part because the mana is so stringent that it would take tectonic shifts in your mainboard to have the manabase not be within 1-2 sources of your needs for a given configuration. A few notes and suggestions on how to build an esper mana base while keeping in mind the mana requirements of esper charm being triple colored. With allied fetchlands finally legal in modern, there is a lot of flexibility here. A rule of thumb to follow is that the ideal count of mana sources is 22 blue, 18 white, and 12 black. This allows you to (usually) have triple blue on time for cryptic command, double white on turn 4 for wrath of god, and at least 1 black early for various removal spells and esper charms. The triple color requirement on esper charm makes it so that we cannot run as many tectonic edge's or other colorless utility lands as UWR lists do, but we can afford at least one. The deciding factors on how many to run include how many basic lands you want, how much removal you have for animated man lands, and whether you have lingering souls or not. If you are heavy on spot removal then you can get away with just one perfectly fine. If you have a lot of wrath effects then you can ease up on them as well without too much fear of gavony township taking over a game. It completely depends on the specific composition of your 75. With primary considerations for the utility lands being tectonic edge and ghost quarter and for the non-island blue sources creeping tar pit, glacial fortress, and drowned catacomb, alongside the mystic gate and sunken ruins filter lands. Some people (including myself) have found occasional success with calciform pools integrated in some form or another, but be wary that it doesn’t make colored mana very easily in the early game, though it is excellent in blue mirrors for late game cryptic-wars. It is RELEVANT that you have at least two watery grave in your list, because if your first grave gets ghost quartered by an opportunistic opponent, without a second one in your list you suddenly might be in the position of only having three or four black “sources” left to hit in your deck, since only half of your fetches can grab that basic swamp. Similarly, it is also relevant to have at least a total of six non-island blue sources and one non-island black source in order to effectively fight through a choke. In general, I would recommend the stock list above with a pair of ghost quarters, two drowned catacomb and a glacial fortress. As with the rest of this primer, I’m going to highlight the theory and strategy for the draw-go builds, but I will make occasional mention of options for tap out style builds, as well as when it’s correct to sideboard into a tap out style configuration. Matchup Analysis pending thread discussion and consensus post triple GP weekend in August 2016. Consider most of this information to be out of date. Affinity is an extremely fast aggressive deck. If they’re on the play game one and you don’t know what they’re on, it’s probably a 70-30 game in their favor. Spell snare and supreme verdict are the best weapons we have against them mainboard. If you have the option to burn the rest of their hand early on with an esper charm, do it because they’re likely holding back a problematic threat. Key threats: cranial plating, arcbound ravager, blinkmoth nexus,inkmoth nexus, master of etherium, Steel Overseer, Etched Champion. Postboard strategy: Since affinity is so fast and aggressive, we generally want to slim down and increase our early game interaction. I recommend cutting all copies of shadow of doubt, remand, and cryptic command, in that order; board in lifelink threats, curse of death’s hold/night of souls’ betrayal, additional board wipes, and any artifact removal/stony silence/additional slot removal. We don’t really want to play a draw-go game against affinity since any of our serious threats (not snapcaster or clique) can kill them essentially unopposed. For the most part, they fold to a board wipe backed up with a batterskull or a baneslayer angel, but be cautious of the manlands—I recommend packing -1/-1 enchantments in the sideboard or mainboard pretty much because of affinity and infect, two decks which basically have zero threats we care about if one of those enchantments hits the table and sticks. pulse of the fields is an OK sideboard card, but I wouldn’t bring in any other pure lifegain cards that don’t directly impact the board. This is a classic beatdown v. control matchup, and as long as you mulligan for interaction, we’re generally favored very heavily in games 2/3, so much so that I would advertise that 95%+ of the draw-go vs affinity matches should end 2-1 in our favor. If you win game one, this matchup is basically a freeroll. The splinter twin matchup is the reason to play esper draw-go. In addition to playing plenty of instant speed removal and cheap countermagic to fight against their combo, we also have esper charm to disrupt the combo in game one. We play almost entirely at instant speed ourselves, and so much of the advantage twin has against other fair decks in the format is negated. In general, it’s incorrect to fight on the stack over pestermite and deceiver exarch when they cast them at the end of your turn; cast removal before they untap or just let it ride and tank a few hits. Once we get to about 11-12 land in play, the game is effectively over as none of their threats can push through colonnade, so if you can stay alive until then, you only have to worry about managing any splinter twins, blood moons, or keranos that they draw. Key threats: Depending on whether it’s UR, URb, or URg, threats can include tasigur, the golden fang, gurmag angler, tarmogoyf, keranos, god of storms, blood moon, lightning bolt, and snapcaster mage. Splinter Twin isn’t so much a threat as it is a minigame, but if they ever do try to go for it, it is of course the most important spell, and you should always bear in mind that they have the potential to combo off. Postboard additional threats: BLOOD MOON. I don’t care if you think they’re a budget player, I don’t care if they lay their sideboard face up and it shows two copies of blood moon. Play around blood moon. Esper is very, VERY resilient to it, but resilience is not an excuse to lose to it once in a while—play around blood moon whenever possible, even if you *know* they don’t have it. In addition to the above potential threats, bear in mind that Jace, Architect of Thought is a common inclusion for twin decks postboard, and you should either have a plan for beating it, or make sure you don’t care about it going ultimate—a strategy I’ve found to actually work quite well as long as you don’t board into additional threats, the best they can really get is an esper charm or a snapcaster mage. 1. Cut all your cryptic commands. Yes, all of them. No, I really mean all of them. Cryptic command incentivizes you to fetch nonbasics, which leads to blood moon blow outs; if you can’t draw it in your opener, you can’t be tempted into undisciplined fetching. Furthermore, it’s a 4 mana spell that, in this matchup, essentially serves as a value 2 for 1. Trying to force those through against a deck boarding in copies of combust or rending volley, dispel, negate, and which already plays remand and possibly mana leak, is dumb. You will never win a counter-war with cryptic commands against twin, so don’t even try. 3. Save your remands for counter wars or flashback spells—don’t even bother trying to get “value” by making tempo plays with them—it’s a hard counterspell in this matchup, or even a 2 for 1, if you play it correctly. Spell snare is the nuts. If you have a triple spell snare hand, don’t ship it. However, countermagic that costs more than two mana is actively bad in this matchup, and in general I also cut logic knot in addition to cryptic command; dispel, annul, and negate are all fine to bring in. 4.	celestial purge is probably your second best card against twin, as it can answer blood moon, the twin combo, or keranos. 5. Night of Souls’ Betrayal/Curse of Death’s Hold are actually the best spells we can have against twin; if you stick either if these, not only can they not actually combo you, they also can’t really go on the beatdown plan unless they’re splashing tasigur or tarmogoyf—in conjunction with leyline of sanctity, this forms almost a hardlock against their deck. 6. The most important basic to fetch against twin is your plains. This enables path to exile, celestial purge, and disenchant if you have it. Next, get an island, then a swamp. Once you have one of each color, your next basic should be a plains if you have 4-5 lands in play and an island if you have more than that—the reason being that on 4-5 lands, you want to have access to sweepers if they’ve blood mooned you, while at more lands in play, you want to have access to sphinx’s revelation; Additionally, we generally play more islands than plains, so you’re more likely to raw-dog the island off the top. Junk is also one of the better matchups for Esper draw-go. Junk has a gameplan that centers around playing a bunch of one for one cards like thoughtseize and abrupt decay, and grinding out advantages with cards like lingering souls. This strategy is pure attrition, and it’s very poorly aligned with our strategy of just generating raw card advantage via copious actual 2 for 1’s like cryptic command and big card advantage spells like sphinx’s revelation. The most important thing for us game one is avoiding a turn three Liliana of the Veil grinding us out. If we avoid that fate, in general their creatures die to our removal and board wipes, they don’t present a fast enough clock to pressure us effectively, and our raw card advantage will eventually crush their discard and dead abrupt decay/maelstrom pulse/path to exiles to the point where we have all the gas and they have nothing. White Sun’s Zenith in particular is excellent in these matchups, but consider mulliganing if it’s in your opening hand as our deck is generally threat-light and getting there with colonnade alone can be quite hard. In general, this is a classic control v. attrition matchup, and if you can avoid Liliana sticking, or bounce it with cryptic when they plus her with an empty hand, we win game one. Postboard Strategy: Nothing much to say here. We intend to do the same thing in games two and three as in game one. 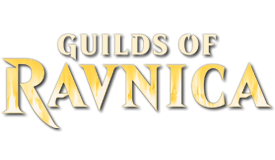 Bring in additional wraths, -1/-1 enchantments for souls, any bombs (grave titan, baneslayer, planeswalkers, etc), and especially any copies of celestial purge. I board out snapcaster mage, remands, and spell snares. If they’re very heavy delve based, you can bring in rest in peace and cut think twice/snapcasters, but I generally don’t attempt that plan as think twice is critical for our primary defense against Liliana. Keep making land drops and drawing cards, wrath when necessary, try to save path for manlands if possible. These games are almost impossible to lose if they don’t stick a Liliana. Remember that leyline of sanctity prevents her ultimate, so it’s often pretty reasonable to board in extra leylines as they can also blank discard if they’re in your opener. Kill the bobs, wrath the board, take your time, and play patiently. The only thing to be super aware of is the possibility of a choke and/or a thrun. Have wrath available (or damnation) and try to avoid tapping islands before their end step as much as possible. Merfolk also falls under the category of “strong matchups” for esper control, moreso for tap-out builds even than draw-go, but it’s a strong matchup regardless. Merfolk is a powerful linear tribal agro strategy that relies on synergistic disruption combined with a powerful beatdown plan to flood the board. Inherent in their strategy is overextension to the board and therefore a vulnerability to board wipes. This match exemplifies the classic “draw go vs beatdown” type of showdown, with the only twists coming from the presence of aether vial and cavern of souls. Important points for this match include being aware of the “card count” (how many cards they have that could be relevant threats) and playing around potential cheap countermagic and disruption, especially cursecatcher, vapor snag, and mana leak/remand. Important interactions to be aware of: cryptic command in “time walk” mode, coupled with snapcaster to time walk and re-bounce snapcaster for long chains of extra draw steps; aether vial activations ruining otherwise profitable or safe blocks. Key Threats: aether vial is public enemy number one—games will go to a grind against merfolk, and if they don’t have an early one, prioritize not letting one resolve after you stabilize because we have so much countermagic mainboard. cavern of souls and mutavault round out the rest of our threat count—everything else is just a value dude or a lord, and they’re only scary in bunches. Key Answers: wrath of god/supreme verdict, path to exile, tectonic edge/ghost quarter: classic beatdown decks with no real card advantage sources are vulnerable to board wipes, spot removal to disrupt their synergy, and land destruction can deal with their caverns/mutavaults. In game one, prioritize caverns, in sideboarded games prioritize mutavaults. 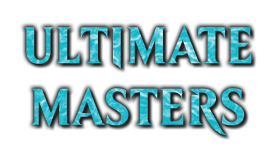 Postboard Additional Threats: Most merfolk players won’t have significant amounts of additional threats for our deck; beware of cheap countermagic like dispel and negate, and be prepared for some number of kira, great glass-spinner to make an appearance, but for the most part their deck will be much the same in postboard matches. They may cut down on aether vials if they’re good, they’ll leave them in if they’re inexperienced, but neither changes our sideboard plan. Postboard Strategy: Lose as much countermagic as you can. Spell snare, logic knot, and remand all go for sure. Additional cantrips also should be cut. Bring in any additional board wipes, any additional relevant removal, and any fat you happen to have in the board. negate is fine to bring in as a singleton, as is dispel, but I would seek to avoid bringing in more than one or two pieces of cheap countermagic. Major exception is annul if you’re with me on that hype-train; they play both spreading seas and aether vial, along with thassa, all of which are relevant spells to hit. I recommend cutting some number of cryptics, but having a few postboard is fine because timewalk mode is super-relevant. Grixis “Control” (henceforth referred to as “Grixis Midrange”) is a midrange deck that centers around the abuse of the graveyard via snapcaster mage, tasigur, the golden fang, gurmag angler, kolaghan’s command, and cryptic command. It rounds this out with the typical lightning bolt’s and terminate’s of the format. Typically in the matchup with Esper control, grixis is very much the aggressor as their eventual snapcaster-kolaghan’s command-cryptic command value engine is easily disrupted by countermagic, and each one of those interactions amounts to a think twice or esper charm worth of card advantage, while a single sphinx’s revelation generally puts the game out of their reach. This matchup can range from a 50-50 grind style of game a la jund, or you can play a few copies of rest in peace in your sideboard and make it more of a 70-30 thing, because whether they have game against us is almost 100% dependent on whether we have access to and can resolve rest in peace. Key Threats: gurmag angler, potentially keranos, god of storms, potentially blood moon. Postboard Strategy: Firstly, be aware that game one is often an awkward, 50-50 matchup. Game two and three can also be awkward 50-50 affairs, depending on whether you choose to beat the deck or not. Also, because they are a very permission-heavy midrange deck, cryptic command is one of the worst cards in our deck. The key thing to understand about the grixis deck is that they are, at heart, a graveyard deck. This means you can approach the matchup in two ways: you can either try to fight on the axis they want to fight on, by shifting to a tap-out style of play with some bombs like Elspeth, sun’s champion or grave titan, combined with removal and some board wipes to combat their shift to a tempo-style of play with cheap disruption like dispel and negate to back up their quick delve clocks or force through their two or three late game bombs, or you can choose to just go for the jugular with one of two cards: rest in peace and leyline of the void. I recommend RIP because it comes down and eliminates their entire graveyard with no chance for them to build up resources before it comes down, and you have to play too many copies of leyline of the void in your sideboard than the match warrants to make it an effective option. If you resolve a rest in peace, they turn from a rather beautiful midrange machine of countermagic, card advantage, and incremental value, into a deck with lightning bolt, ambush viper, glacial stalker, terrus wurm, and an almost strictly worse blightning. Can you beat a 22 land deck playing those cards with good consistency on a mulligan to 6? What’s that you say, constructed decks vs limited decks isn’t a fair matchup? I agree. In general, dump the cryptics, bring in celestial purge and any bomby planeswalkers or value creatures, bring in rest in peace, and cut logic knot. Think twice can stay because it cycles if we have RIP out, and if we don’t it’s still an important engine for our deck. Snapcaster mage stays in because again, if we don’t have RIP out it’s an excellent card, and if we do have RIP out we’re already winning very strongly. Play around blood moon as much as humanly possible, and do your best to resolve RIP, and the game should be easy. Lifegain-based value cards like timely reinforcements can come in if you have more dead cards to bring out, but they aren’t substantially better than what we already have; lifelink beaters (other than batterskull) are still fine. Jund, while less positive than our matchup with its white-splash cousin, is still a favorable matchup. Much of the core strategy of Jund is similar to that of Junk: 1 for 1 exchanges via discard, efficient threats/removal, incremental advantage from value creatures and 2 for 1 spells, man lands, and forcing a low resource game fueled by Liliana of the veil. The primary difference between Jund is that the red splash instead of the white splash leads to a leaner, more efficient deck with better reach. In addition to the potent threats of tarmogoyf, scavenging ooze, and Liliana, jund also has access to dark confidant because of their lower curve and lightning bolt/kolaghan’s command for reach. There are essentially two types of games we don’t win against jund: those where they have an early dark confidant that goes unanswered, and those where they have an early Liliana of the veil that goes unanswered. Both spell death for us pretty readily, but as is the case with Junk, if you can clean up the board on the 4th turn, then generate some 2 for 1’s via cryptic and think twice, you can generally nail the coffin down on them with White Sun’s Zenith or Sphinx’s Revelation for five or six. Key Threats: dark confidant, Liliana of the veil, raging ravine. Additional Postboard Threats: thrun, the last troll, choke, inquisition of kozilek. Postboard Strategy: Very much the same for jund as for junk—bring in any x-for-1’s you have in the sideboard, be they wraths, planeswalkers, value creatures, and any answers you have for Liliana of the veil. Game one, anything that stops turn three Liliana is good, for games two and three you want to cut remands and logic knots for removal options like celestial purge and focus on being removal-based except for spell snare and cryptic, as cryptic can always be a value spell and spell snare is just too important for the tempo in this matchup. 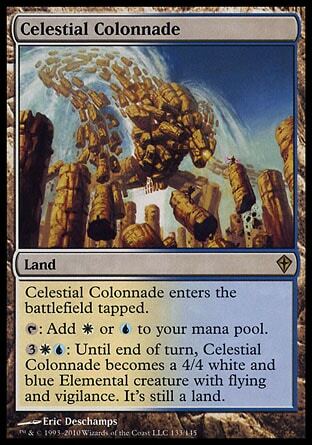 Beware of raging ravine as it’s the only manland in modern that really trumps celestial colonnade in the late game. Burn is an extremely linear unfair deck that seeks to take its opponents from 20 to 0 with 7 spells or less. Unfortunately for us, we don’t have any sort of a clock in a typical mainboard to allow us to even contemplate a race against burn. The games we win will be on the back of our countermagic and removal lining up appropriately against a creature-heavy draw, followed by a sphinx’s revelation or two to stabilize and lock them fairly strongly out of the game. Key Threats: Really none. goblin guide on the play is their best start, but often the triggers can be beneficial for us in digging to relevant interaction in game one. skullcrack and atarka’s command are the two most important spells to be aware of in game one. Key Answers: spell snare does more work in this matchup even than affinity. It hits all of the “key” spells; unlike affinity, we can still lose games to just the “backup team” of seven lightning bolts. Additional Sideboarded Threats: None? Beware of destructive revelry and assume they have all 8 skullcrack effects. Postboard Strategy: Bring in lifegain effects, bring in clocks, bring in removal for dudes, bring in cheap countermagic… For completeness’s sake, the primer includes a burn primer, but the reality is that in modern, you either play enough hate for burn, or you don’t, and how much hate you play will pretty much directly correlate to your win percentage against them. A leyline or two in the sideboard? You’ll get some games. A playset of timely reinforcements, a pulse of the fields, and some lifelink beaters in a mystical teachings shell? You’re not dropping very many matches to burn even if your game one is still bad. Esper Control is a deck that is built to be as close to pure control as possible in modern. Originally inspired by a deck used by Guillaume Wafo-Tapa at Grand Prix Boston-Worcester 2014, it has caught the attention of many control players. The goal of the deck is to navigate the game into a state where you have everything and your opponent has nothing. With a legitimate source of raw card advantage and high impact sideboard options, esper allows you to always have the right answers in your 75 for any given match with enough card draw to find them on time. Why play Esper over UWR? The first and most obvious question is why should you try esper over the more traditional UWR shell. More specifically, why aren't you playing lightning bolt? There are a few different answers to this. The first is that UWR has very little in the way of card draw which leads them to run out of gas very easily against the grindy fair decks like birthing pod and BGx. The other reason is that sometimes lightning bolt is simply not a good card. Bolt is the premier removal spell of the format, but there are many creatures that it isn't able to kill and others still that it cannot 1 for 1 trade with such as voice of resurgence or kitchen finks. Also with the format making shifts towards 4 toughness creatures, bolt is gradually losing targets and too often is reduced to being nothing but a lava spike. Because of this we are slightly less favored against the hyper-aggro decks of the format such as affinity and zoo, but are far better suited to go long against fair decks and disrupt other combo decks with the addition of black. Being in black gives us access to one of the best card draw spells control has access to in esper charm and allows us to run main deck permanent removal with utter end. With the printing of Dig Through Time and Treasure Cruise, UWR now has access to card advantage spells in their colors. However combining either of the two powerful delve cards with the esper charm + think twice engine, this gives esper control access to an absolutely unparalleled level of both card advantage and card selection. With such a high level of diverse answers and filtering in the deck, this makes esper the ideal choice for a pure control list in the modern format. Black also allows us to use thoughtseize and various other black removal spells as needed with a great option in lingering souls. Lingering souls is a card that uwr cannot realistically play and is hard for many decks to beat. Decks like BGx, control, twin, and affinity have such a hard time dealing with just one copy of it which allows us to take a very strong line of attack with how we build the deck. The cards here are generally considered to be the bare minimums for a pure control list. If you're looking to create your own list, this is the general formula that you'll want to start from. It bears repeating that these numbers are for a pure control deck and are only the minimum amounts that you want. The marquee card of the deck has three modes which are fairly simple to understand. It can cast divination, mind rot, or destroy an enchantment all at instant speed. It seems simple enough, but the mind rot effect, or “fun mode,” is secretly the best effect that the charm has and knowing when it is correct to use it as a discard spell takes some experience to get right. Using your primary draw spell as a mind rot instead of draw power is a very odd thing to do in a control deck, and noticing when it's right is difficult. The best way to learn is to just make that your default mode when testing the deck and seeing what your opponent typically discards. In game 1 against fair decks it's rarely correct to mind rot as there's going to be a bunch of dead removal clogging up their hand so it effectively does nothing, but sometimes it's a home run. Most lists don't run a full set of snapcaster mage. Here's the argument for why 4 of the format's best blue card might not be correct. This is the main point of contention among people developing esper control, how many snapcaster mages is correct? Snapcaster is the best blue card in modern so why wouldn't we want to run a full set of four? The reason is that we don't have lightning bolt. In other words we don't have nearly enough cheap spells to flashback with him to make the card as good as it can be. It is still a great card that we want some number of, but with some spells having flashback already, zenith's shuffling back into the deck, there isn't too much food for him to double up on the cheap end of things. Some lists may be better set up to use him with more 1 mana spells while the more generic lists are unable to make him as great as he can be. The bottom line is that the more 1-2 mana spells that you have the more snapcasters that you want while bearing in mind that 4+ mana spells like cryptic command and sphinx's revelation are more of a “yahtzee!” flashback rather than something you should be keeping in consideration. Snapcaster is much more of a mid-late game card that needs your early interaction to have an effect. Testing is currently underway as we do not know for sure how good these are in our deck, if at all. The benefits of them is that they dramatically increase our total draw power and allow us to draw several cards at once and then cast them all in the same turn. The cons are that they make snapcaster mage worse, graveyard hate becomes a legitimate concern for us, and they are especially weak to remand. Which version you play will lend itself to an entirely different shell with the original version of esper being on the cheap cantrips and think twice side while the delve versions will lean towards thought scours or dimir charm and the delve cards. Here are a few rules of thumb and example lists to help you decide if they are right in your deck. 2. If you want to run multiples of them you must build your deck to support it. This means playing cards like thought scour and trimming your flashback spells and snapcaster mages. 4. If you choose to just run a single copy of one of the large delve spells, Dig Through Time is likely the better choice. The lack of lightning bolt and electrolyze reduces our total number of premium removal spells. Instead we have to turn to the classic color of black for additional removal options and some more obscure white spells. Utter End – A new card from Khans of Tarkir. While testing is still underway, it does seem like a good fit for the deck. It allows us to handle the scariest cards for the deck like birthing pod and planeswalkers. The mana cost is a little steep at 4 and it cannot hit man lands, the sheer versatility of it and the exile clause is very attractive. Mortify – Should enchantments become a bigger force in modern this card would be amazing. But as it stands the only enchantments that see much play are splinter twin and blood moon which are not enough of a reason to run a 3 mana removal spell. This may change in the future, but in the mean time consider this just a reminder that this card exists. Sunlance – Another option for a turn 1 spell that kills something. It has the benefit of hitting 3 toughness creatures like wild nacatl or merfolk before they get completely out of control, but it does have a real draw back. Being sorcery speed means it cannot hit man lands and nonwhite means you cannot hit a voice or kitchen finks which can be a problem. If you're interested in them, it may be better suited in the sideboard. Dismember – As cheap as you can get, dismember is perfectly fine as it hits quite a lot of things and we can pay the full 3 mana if necessary. However without an easy source of life gain in the deck, it isn't recommended to run more than 2. Smother – And other 2 mana black removal spells like go for the throat and doom blade. All of these have their own merits and can fit into most any list. Of the options what you have to consider is that GftT is dead against affinity, doom blade cannot hit dark confidant, and smother cannot hit restoration angel, olivia voldaren, and other high cost threats. The metagame that you expect should decide which of these you want, if any. Another potential inclusion is devour flesh if you expect boggles or UWR geist to be especially popular. Every control deck needs some form of counter magic to answer threats that absolutely cannot resolve. Mana Leak – Old faithful, mana leak has been seen in virtually every control list for ages now. The problem with mana leak is that it's great on turn 2-4 but quickly becomes a dead card, especially with a full set of paths. With the plan of esper being to go super long that means that mana leak will rarely get value if it's not in your opener. But with that said, it is one of our very few options for 2 man permission spells so it always deserves a consideration when putting together your list. Condescend – Another soft counter that is at it's best in the early game. It may cost more than mana leak in some situations, but it has the upside of always being turned on. If you're unable or unwilling to spend the mana to counter something you can just cast it for zero to scry 2 targeting either their spell or one of your own. Be sure to sequence things properly with this and your fetch lands so that you don't shuffle back the cards that you scry to the bottom. Cryptic Command – This is one of the main reasons to play blue in modern. Super powerful and super flexible, you'll want at least 3 in your list with many players opting for the full set. It is expensive at 4 mana and can clutter up your opening hands, but the power level and flexibility makes it well worth the price. Also worth noting is that the bounce/draw mode combines especially well with esper charm's mind rot effect to handle problem permanents that resolved before cryptic came online. Spell Snare – Two mana is the most common casting cost for threats in modern with things like voice, goyfs, bob, cranial plating, remand, and snapcaster. A one mana hard counter for some of the most common cards in the format is a great thing to have access to, but against some decks it can be dead. It is at it's worst against birthing pod decks and at it's best against affinity and BGx. Three is the most common number, but sometimes it can be right to play 2 or max out on 4. Negate – Negate is usually seen as being strictly a sideboard card, but with some of the biggest threats in modern being non creature spells (karn, liliana, birthing pod, batterskull) it is worth considering in the main deck. Be aware that this is highly meta dependent and will either be an all star or completely dead. Use with caution. Logic Knot – The most obscure card featured in the entire primer is this one. It has anti synergy with snapcaster mage and does very little with an empty graveyard which are certainly strikes against it. What it does add to the deck however is another 2 mana soft counter that is still turned on in the late game and the fact that it effectively only costs UU is a big deal. Most people will not be expecting it and will gladly play out stuff into a mana leak they think they can pay for and end up getting blown out. It allows you the option of attacking with a colonnade while still secretly having counter magic protection and is cheap enough that you can use snapcaster mage with it effectively by delving excess fetchlands and other cards that you don't intend to snapcaster later on. Bear in mind that the more logic knots and more snapcaster mages that you play the worse the logic knots get. The best reason to play esper is that it allows us to run a much higher density of card draw spells. Here are our options. Spreading Seas - Since we can't really afford to play a full compliment of tectonic edges due to our strict mana requirements, this is a great option to deal with man lands. It is also a main deckable card that can do a lot of work against tron which is one of our worst match ups. It's cheap, it draws a card, and it has the potential to do something to mess with your opponent. It also has the fringe but very real ability to be cast on your own fetchlands to let them tap for blue mana. The biggest downside is that it is sorcery speed which is a noticeable draw back for cantrips to have. Even in modern aggro is still around and even the midrange decks can build up a very impressive board presence so we need a few panic buttons that we can push. Supreme Verdict – Simple and pure, this is the go too wrath for most people as the cannot be countered clause does come up a certain number of times while regeneration usually isn't a thing in modern. Wrath of God – Because regeneration is sometimes a thing in modern. More specifically though is Thrun, the last troll which is a very common sideboard card in any deck with green mana. Wrath is your best way to ensure that you won't just scoop to it. Black Sun's Zenith – Double black is a pain and the zenith clause means no snapcaster re-buys on this one. Why it does get a mention is that it puts minus 1/-1 counters on creatures that don't go away at the end of the turn. This means that even a small one can neuter the board so that it is effectively a wrath and it is also a clean sweep against persist creatures. If your mana base can support double black this is a good option if you expect pod to be a common match. Hallowed Burial – A high price at 5 mana, but this option ensures that nothing will be on the battlefield after it resolves. A decent option if you're afraid of pod decks, but is not very good against any of the aggro decks in the format. It is also great against the boggles deck as a way to get around their totem armors. It generally isn't a good idea to rely on this as your primary sweeper, but instead as a compliment to your other 4 mana options. Eventually we have to bring our opponent to zero life and celestial colonnade, while amazing, sometimes needs a little bit of help. Batterskull – If you're in the market for another big top end threat to help end games sooner this is a solid option. Most decks cannot beat a batterskull as it is very hard to get rid of. However it has the problem of being a 5 drop at sorcery speed which can spell death against a large portion of the field. Gideon Jura – Another massive 5 drop. Gideon is king in fair matches that don't have path to exile and is able to provide card advantage by either picking off attackers or forcing opponents to swing into our waiting colonnades. Vendilion Clique – Hand disruption and card filtering attached to a 3/1 flying body is always nice to have. It is very weak to electrolyze and dies to bolt, but it has flash and allows us reasonable main deck hand disruption and a legitimate clock against combo which makes it a serious contender for a slot. Lingering Souls – We all know how powerful this card is and it is one of the best B/W “gold” cards in the format. Many decks simply cannot beat a lingering souls plus flash back. It is great at pressuring planeswalkers, aggravating control decks, and buys a ton of time against aggro while being a nightmare for affinity. Some lists play zero, other people like having the full four in the deck. If you're expecting a lot of BGx and affinity decks this is a great card to have in your 75. Elspeth, Knight-Errant – Eslpeth is one of the best planeswalkers printed and is a great option to have. Since she is at the sweet spot of 4 mana, plays both offense and defense, she is always going to be useful in every match. The downside of her is that she is still another 4 drop, sorcery speed, and can be too slow at times. The potential upside outweighs the negatives more often than not and is a very strong consideration for either main or sideboard play. It's worth mentioning that if you're playing with this version of elspeth, you may want to consider increasing your total creature count as to make better use of her ability to "pump and jump" and put out serious pressure. Ashiok, nightmare weaver – Amazing against all of the fair decks in game 2 but miserable in game 1 when they have their abrupt decays around. Against pod, ashiok is a personal birthing pod that uses their deck against them and against BGx it's a tarmogoyf that gains some life by fogging a few attacks. It's a great option for the side, but somewhat questionable in the main. The triple color requirement on esper charm makes it so that we cannot run as many tectonic edge's as UWR lists do, but we can afford at least one. The deciding factor on how many to run is how many basic lands do you want, how much removal do you have for animated man lands, and if you have lingering souls or not. If you are heavy on spot removal then you can get away with just one perfectly fine. If you have a lot of wrath effects then you can ease up on them as well without too much fear of gavony township taking over a game. It completely depends on the specific composition of your 75. The general consensus is that we will still want the normal 7 total fetchlands, but the exact makeup of them is still up for debate. The main thing to consider when choosing your fetchlands is what basics are you most likely to want and why. An example is that you may want an extra white fetch so that it's easier to get a plains in case of a blood moon. 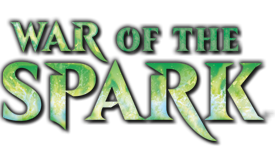 Another option for mana fixing that we have available is creeping tar pit since we're in black. The tar pit is a great threat that can very quickly kill off walkers, but is susceptible to lightning bolt. You will want to max out on celestial colonnades before adding the first one, but it is a reasonable option to consider. Since sideboarding is very meta and list dependent, this section will focus primarily on the more unique options in our colors. A far more indepth look at certain options will can be found in the following section. The main things to bear in mind when building a sideboard for esper is what is your list especially weak against, and what decks are you ok with straight up losing to. If you are ok with losing against tron the one time you play it, then don't board any cards for that match up and instead use more targeted options for what you are not wanting to be an underdog against. Night of Souls' Betrayal – A crushing blow against many decks such as UR delver, tokens, and splinter twin. The mana cost is a little high, but so is the effect that it gives you. It can be amazing in certain metas, but it also shuts off the option of playing with lingering souls which can have the same effect against a horde of X/1 creatures. Rain of tears – A generic stone rain effect in our colors, it destroys a land and that's it. If you think that you need cards specifically against tron or amulet combo then this is one of the few options you have outside of extra ghost quarters and tectonic edges. Darkblast – This is another unique option that black affords us. Against the decks that you would want it against, it's drawing you a removal spell every turn with some potential added value with our flashback spells. Affinity has a hard time dealing with it as does UR delver and it's cheaper than lingering souls. The only down side to it is that it comes in against far fewer decks. A powerful yet narrow option. Thoughtseize – Targeted discard and other forms of hand disruption are another option that black opens up for us. This slot could also be duress, IoK, or Vendilion clique. The main argument for thoughtseize is that when you bring it in you care about exactly one card in a particular match and want to make sure that it's gone or when there will be many counter battles. Always a good choice. Zealous persecution - If you are on the lingering souls plan this is another good option that is available in esper colors. It can come in against affinity for a potential 2 mana plague wind, it can do some work in post board games against certain twin decks that want to beat you down with a ton of X/1 knuckle heads and is obviously a blowout against token decks. Bear in mind that playing it without a creature/token plan dramatically reduces it's effectiveness by taking away the ability to use it as a pseudo lava axe that plays well with snapcaster mages. Non-Creature permanent Removal – Things such as celestial purge, engineered explosives, pithing needle, Utter End, and disenchant fit in here. You'll typically want a combination of these to deal with things like blood moon, Keranos, god of storms, and planeswalkers. Be sure to remember that celestial purge exiles so it can cleanly remove a keranos or Hellspark Elemental from play. Celestial purge is one of the better options as it can hit blood moon, splinter twin, keranos, liliana, and bob which are all especially dangerous cards. More of the Same – Extra sweepers, removal, and various counter magic. Depending on what you expect you may want a lot more or very little. If anything you should have at least some mixture of extra spot removal, maybe another wrath effect, and some amount of counters. Some people like negate, others like deprive, dispel is also an option and if you're going heavier black then countersquall is a viable option over negate if your mana base can support it. Giant life link monsters – Be it batterskull or baneslayer angel either option is fine depending on what you want. Batterskull is better in long and grindy matches while baneslayer is drastically better than the other in certain matches. It really comes down to if you want something that's really hard to get rid of and can come in against control versus something that is more narrow but far more powerful when you want it. This section is less of an explanation of what cards are good, and instead focuses on the versatility of potential cards to add in with several walls of text for your reading pleasure. If you are unsure of what the meta game will look like and want to have as many broad answers as possible, this section will explain exactly which cards can reasonably come in against which decks. At the end there is also a sideboarding guide for my personal list to help you figure out what you should be doing with your own. Well over the last couple days I've had very little to do and a serious case of writers block stopping me from getting much work done so I decided to finally dig super deep into my sideboarding plans. I went through all of the likely candidates to make the cut and wrote up what decks they're able to come in against. I decided to do this because I would all too often run into situations where I had 10 cards to bring in and only wanted to remove 5. The end goal of this was to make my sideboard as modular as possible without effecting my main deck which I am completely happy with. I also wanted more in my board for the “aether vial aggro” decks because we have 10 spells that are likely to be completely blank in our main which makes it painfully easy to draw the wrong half and get stomped into dust. Incoming walls of text, you have been warned. And here's the mark ups and cards that I was evaluating. Bear in mind that power level of the cards was not taken into consideration. I was looking for cards that are as versatile as possible to hit as many targets as I could while still being very good in their particular matches. With this massive list the number in the front is the total amount of decks that they can reasonably be used against then I name the card and then which of the 12 more popular decks they can potentially come in against specifically. There are quite a number of bizarre cards in that list up to and including Teysa, Envoy of Ghosts which are surprisingly versatile and there's also a few very specific niche cards that I put in just out of curiosity. Oddly enough celestial purge, while powerful and also my favorite sideboard card, it and relic are two of the most limited options we have that are not knock out hay-makers like stony silence or rule of law. More than that though is that counter magic tends to be a little better than discard which really surprised me. I also think it's pretty crazy at just how many decks get very sad when they see a lingering souls cast. Now that I have this information finally available I got to work on my official sideboard plan once more. Here is my current list for reference followed by what I plan to board in and out. Please excuse the gravy train, I'm working on playing faster which has been a problem for me lately, he's just a crutch until I can get back in the swing of it with the new set up and mana base. And here is what I plan to board in and out in each match. This will be just a general purpose guide on what cards you should typically consider switching in and out in certain matches. Since everyone's list will vary this will be as broad as possible while still giving you a good starting point when creating your own sideboard guide. But before we delve into it, here is a quick word on the DCI policy involving in-game notes as explained to me by a level 5 judge. You are allowed to write out any notes you wish before you enter a event or sit down to a match. During games you cannot reference them, but in between games (such as during sideboarding) you are allowed to look at them so long as it doesn't violate the electronic device policy. Any notes you make before a game you are not required to show your opponent, but notes that you take DURING a game you are required to show your opponent. What this means is that once you have your list set in stone you are allowed to write out, card for card, what you plan to put in and what you will take out for each and every match without having to show your opponent. But while a game is in progress you can't reference them. Because of this it is highly recommended to write out your sideboard guide in advance and during a match shuffle your entire sideboard into your deck and then pull 15 cards out. This way not only will you be less likely to sideboard incorrectly by not having to figure it out on the spot, you will also save a noticeable amount of time while leaving your opponent unaware of how many cards you are bringing in. With that being said, here are some recommendations. UR Twin – The easiest cuts here are your wrath of god effects because it is rare that they will have a board presence that requires a panic button. One of your best sideboard options here is celestial purge as it can hit splinter twin, blood moon, and keranos. I like to take out some number of cryptic commands depending on how “all in” they are on the combo. If they are heavily tempo based I will take out several as you can expect a number of dispels to come in and cryptic does very little to fight that. Thoughtseize is a good option, but since you are likely to lose to damage I don't recommend bringing in a full set. If you have engineered explosives that is a great choice as well and you'll want to play it out early for X=3 to stop several threats in advance. Keep in your paths and some number of extra removal spells depending on how creature heavy they are. If you see grim lavamancers and vendilion cliques you'll want to keep it all but otherwise you can trim down on spot removal since the combo is not so pressing post board. The main things that you want are counter spells and answers to blood moon, keranos, and batterskull. TarmoTwin – A much different situation from the UR version, you will want some number of wraths in this match. This is specifically because of Thrun, the last troll and a number of other creatures that they will have in play at once. I like cutting supreme verdict because it doesn't hit thrun even though it's vulnerable to remands. You can trim down on cryptic command here as well, but it is much better here than the UR version as the tap/draw mode is likely to come up some percentage of the time. You won't need celestial purge since most lists don't run keranos and blood moon or actual splinter twin are unlikely to be in their deck post board. Sisenchant effects might not be needed either, but they may have batterskull or Sword of Stuff and Things so it may be worth it to hedge your bets and bring in a copy of disenchant just in case. Affinity – With the printing of ensoul artifact in M15 affinity has gone from a stock list to multiple versions as of late. Luckily for us every version functions the same; play dudes and turn sideways. You can expect a play set of etched champions to be in the mix and potentially some number of blood moons, anywhere from 0-3 may come in. You'll want all of your removal, all of your sweepers while cutting down on counter magic. If you're on the draw cut all of your 2 mana soft counters while keeping in cryptic commands and on the play keep your cheap counters and trim down on cryptics. I also like to cut down on think twice because you absolutely cannot afford to durdle around on the first few turns. Avoid taking extra shocks from your lands, get basics to play around potential blood moons and try your best to save wraths for etched champion. BGx, The rock – All of the different rock variants tend to function the same in practice. You'll want to board in as many answers to Liliana of the Veil as you have access to because that is almost the only card that matters. If they keep her around you will lose, but if they don't you'll get the win. You should cut all of your soft permission because they will be miserable on turn 12 and are easily played around with their large amount of discard. Any giant finishers that you have are great here as it is incredibly attrition based. As such you'll want to max out on lingering souls if you are playing them. I sometimes will cut a cryptic or a snapcaster depending on what their list looks like. If you see a lot of oozes then cutting a snapcaster can be correct as you might not ever have any food for him. If they're on straight BG beware of their land destruction plan with 4 tectonic edge and 4 fulminator mage. Focus on getting card advantage and keeping their planes walkers off the table. UWR Control – This is one of your better matches, but side boarding can be tricky. If they're on the restoration angel and vendilion clique plan things can get messy, but if they're on the pure control plan it is very simple. You can expect some form of “5 drop awesomeness” to come in be it keranos or batterskull though it is not worth it to bring in celestial purge. If they don't show you any creatures outside of snapcaster mage you can trim your extra removal, but keep in your paths to deal with their colonnades. If they are on the man plan however you don't have many options in boarding since you need your removal. You can pull your wraths if you don't expect geists and maybe trim a single removal spell at most. You want your extra counter magic and any extra finishers you have in the side that are resilient like batterskull or lingering souls. Thoughtseize is awesome if they aren't playing a creature version with angels, but otherwise they can be very risky because your life total will be under a lot of pressure. Scapeshift – Here you want to cut almost all of your removal and all of your wraths. Some players like to bring in Teferi, Mage of Zhalfir or batterskulls to surprise you so you can't really cut all of it. Of all the removal that you might have cut the wraths and paths first because you don't want to help them ramp. You want all of your hand disruption, and flash threats, and as much counter magic as you can get. Lingering souls is a fine card here but is not super exciting while if you have Teferi in your board it will certainly be amazing. Melira Pod – This is a match that has the unfortunate situation where spell snare is terrible in game 1 and pretty good in game 2. They have very few 2 drops in game 1 for you to snare but will usually bring in more voices and oozes in the second. Regardless you'll want to cut one snare and if you're on the draw you might want to cut some soft permission as well in favor of cards that can shut off a birthing pod. You'll want to max out on removal, wraths, and any good planes walkers that can protect themselves and you at the same time like ashiok or elspeth while cutting down on permission based on the play/draw. Storm – This is a match that requires a little bit of guess work. If you think they'll be on empty the warrens in game 2 you want to keep in some number of wraths otherwise you'll want to cut them. You want at least some amount of removal to kill goblin electromancer but don't go crazy with it. You want as much counters and discard as possible while also having ways to remove a a blood moon or pyromancer ascension from play. Celestial purge and engineered explosives are some of your best sideboard options here. Either way don't be shocked to be bringing in 10+ cards. UR Delver – This is another tempo based match where cryptic command is not at it's best. I like cutting down on them to add in more cheap removal and answers to blood moon. Celestial purge is great here to tag young pyromancer and blood moon and potentially even keranos. Blood moon will always be coming in along with some number of dispels or negates so be prepared. Tron – Take out all of your non path to exile removal, all of your wraths, and bring in anything that does something. Your cheap counters are great at stopping their turn 3 nut draw which is fairly common. All of your discard will be great at protecting yourself and you'll also be wanting any threats that you have in the board. You want to have as much disruption as possible, be it counter magic, discard, or land destruction, and some kind of threats to end the game before Emrakul comes online. One of the more unique and effective sideboard options for this match is Bribery to steal their eldrazi. The card is extremely narrow, does nothing against a turn 3 karn, but has the potential to be lights out against our worst match up. A few general tips on the more common decks you'll face in the average modern event. BGx – This is a fairly simple match to understand, but difficult to navigate correctly. The most important thing in the match is to prevent Liliana from resolving. If they have her in play early it is very hard to win. But if they don't managed to resolve her, the match is almost a bye it's so easy. Be careful to not let a dark confidant stick around and lean heavily on your lingering souls if you have them to get the job done. This is also the match where an additional win condition is valuable in post board games because you'll usually run into a number of fulminator mages. Twin – The biggest danger here is getting burned out as it will be nearly impossible for them to combo you out. You generally want to aggressively use your removal and counter magic when possible to remove their combo pieces. Against the RUG version don't be afraid to take a beating from some 4-5 power goyfs. You'll want to use your removal on their creature threats and lean on your countermagic to stop their combo. Spell snare is your best card against both versions of twin. Birthing Pod – Another deck that revolves around a single card. If they resolve an early pod you are in big trouble, but if they don't have one then you are in the clear. The games will be especially long so play speed is important to avoid draws. Try and get maximum value out of your sweepers when possible by using your life total as a resource. Their only form of reach is 1-2 murderous redcaps so going down to just 3 life is usually safe. The only other dangerous card they have is reveillark which you want to use path to exile on so that they can't rebuy it with an eternal witness if it comes into play. Post board expect some combination of discard and giant hexproof monsters. Affinity – Your biggest concern here is etched champion more so than cranial plating. We are generally able to kill off everything they have to avoid getting smashed by a plating but etched champion has very few answers in the average list. If you're on the lingering souls plan then their man lands will rarely be a problem, but without it you need to beware of the surprise poison plan. UWR control – Never before has hitting land drops been more important in a control mirror. The reason that playing a land every turn is especially important is that we are almost 100% reactive and will be forced to discard to hand size early. They are able to fling burn spells at us when they miss land drops while we are only able to esper charm mind rot them which generally isn't a good plan in game one. Always be on the the look out for snapcaster assisted burn outs in the first game and make sure that you have more cards available than they do. Bear in mind that decking them is a serious path to victory by casting black zenith for X=1 (casting it for 1 prevents it from being countered by spell snare) a dozen times if your white zenith gets countered. If you're comfortable in control mirrors they will be extremely easy to overcome. Scapeshift – This is the match where the instant speed mind rot mode of esper charm shines it's brightest. The more that you are able to make them discard with it the more likely that you are to win. Your goal here is to try and empty their hand while beating down with a snapcaster. Game one can be a little dangerous, but post board it is almost unlosable. I've played Esper Teachings on and off for about a year and had to play against Tron quite often because the meta at my LGS was heavy with it. I understand that most of the lists people are trying out in this thread are not based on Mystical Teachings, but I think my experience is still relevant to the matter at hand. Game 1 is generally very difficult. From the times that I've had to face it, I've come up with two different lines to take against Tron. A) Board into aggressive creatures, most notably Geist of Saint Traft, and cut dead removal for relevant disruption to become more of a tempo deck to race before the Tron deck can go over the top. B) Board into situational disruption and cut dead removal to try to act as the control against Tron. With regards to Plan A, Esper Teachings lists from late 2011 and early 2012 when it was a tier 1-1.5 deck often played several copies of Geist of Saint Traft and Elspeth, Knight-Errant in the sideboard to allow the deck to take a more proactive strategy in games 2 and 3. From testing I found these cards to be useful to board in against burn and combo to present a fast clock and also against control because they are resilient threats. As for Plan B, controlling the game is difficult but quite possible (I've done it successfully before) to do now that Hero's Downfall has been printed. Before that, there was no answer to planeswalkers that could be searched up with Mystical Teachings other than bounce spells, which made a resolved Karn Liberated very difficult to beat. Wurmcoil Engine can be dealt with fairly easily with Path to Exile or Unmake. As for Emrakul, the Aeons Torn, Mindbreak Trap can exile it on the stack. Gather Specimens provides a more focused answer, but it is hard to justify such a narrow card in the sideboard. I prefer Mindbreak Trap because it is also good against storm. In addition, I boarded in Extirpate to combo with land destruction or discard to create a Sowing Salt that cannot be responded to with Ghost Quarter or Relic of Progenitus. I've yet to try it out myself, but I've heard of people having success with Commandeer to gain control of a Karn Liberated. Due to the number of situational one-ofs that you need at the right time to execute plan B, multiple copies of Mystical Teachings are a necessity, which requires one to design their deck around it. For that reason, I like plan A for the decks that people are brewing in this thread. -It is common knowledge that Stony Silence is quite good at slowing down Tron. Shadow of Doubt is similarly useful. -Ghost Quarter is significantly better than Tectonic Edge against Tron, and I chose to play two copies of Ghost Quarter for that reason. -Vendilion Clique and Esper Charm can both get rid of Emrakul on the draw step before the Tron player has a chance to cast it. I've actually read an article by Caleb Durward where he tempoed out his Tron opponent by using Esper Charm to discard Emrakul several turns in a row until he won by beating down with a Snapcaster Mage, even though the Tron player had an active Eye of Ugin and was searching up Emrakul every turn. -I like to board in Rain of Tears to compliment the main deck Ghost Quarters or Tectonic Edges. 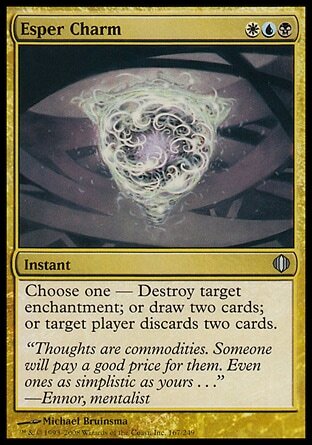 -Thoughtseize is also quite good given the low level of redundancy in a Tron deck. Overall, the matchup is definitely not great, but it is far better than it may appear at first, especially if you make some adjustments to your deck and sideboard to improve the matchup. Tron is quite threat light and hard counterspells like Countersquall and Cryptic Command are surprisingly good at stopping the few threats they cast. I may even go as far to say that in the hands of an experienced pilot, Esper control has a better matchup against Tron than Jund or Melira Pod does. Why aren't you playing X Card? There are a number of cards that are often mentioned that do not belong in a control deck. Here is a brief FAQ on the more commonly mentioned card choices and why they should not be included in your main list. Liliana of the Veil – The goal of esper control is to always be ahead on raw card advantage, we want to have a full hand as often as possible and liliana actively works against this goal. The 3 mana all star planes walker of modern is very good against us so we don't want to help our opponents out by playing some of our own. Even if you can get moderate value by pitching flashback cards like think twice, your opponent will be tossing dead removal spells which negates anything you gain from the discard effects. The only good use she has for us is the edict effect for which there are many better and cheaper options available in black. Thoughtseize – Discard is used for two distinct purposes; to force through a key spell or to back it up with enough pressure to kill your opponent before they're able to draw anything relevant. As a control deck, pressure is not something that we're good at and we have no game ending spells that we are trying to force through in the typical match. The other, and more important, reason that they are not recommended is that we plan to go to the super late game where discard spells are at their absolute worst. It is counter productive to add a card to your deck that is blank once you get to where you want to be, which is turn 15+ and on a stable board while pulling ahead with draw spells. The sideboard is an entirely different matter however. Combo decks are weak to discard spells because they need to resolve very specific spells to execute their game plan and discard allows us to strip one piece while interacting with the other pieces through counter magic and/or removal. Then there are the control matches where counter magic plays a pivotal role in deciding who wins and who loses. A timely thoughtseize can clear the way for a large white sun's zenith or remove their one hay-maker threat in keranos or batterskull. Discard is great in those matches because there is no action until the late game so there isn't a time where they're blank top decks, instead they act as a “proactive dispel” which is a huge advantage. Against fair decks like pod or the rock, the game will get to a point where they have no cards in hand and discard won't help you pull ahead, you're better served by having answers that you can rely on and always have at least the potential to get you value. Gifts Ungiven/Mystical Teachings – These two cards are very powerful and are acceptable as a one of inclusion, but are not something to be included in multiples. This is because not only are they very expensive, they are also cards that require you to build around them and play suboptimal cards in order to maximize their power. Gifts is not a great strategy for us to hop on mainly because of the lack of green mana which allows us to use life from the loam. Loam is what allows you to make gift piles that end up locking your opponent out of the game in some fashion which we are unable to cast. It makes for a decent sideboard option as we are able to handily run the unburial rites plus elesh norn, grand cenobite combo, but is not something we should base our Plan A around. Teachings is an entirely different card from gifts, but it fits into the same category of slow spells with high value upsides that require a deck specifically built to support them. Like gifts, teachings also works as a one of but is not worth warping your list to fit in. This is because there simply are not enough high impact spells for us to grab with it. You also have to keep in mind that any silver bullets that you choose to include in your list to make teachings a legitimate card you will have to draw in some matches where it will be a blank. Control decks want all of their answers to be live in every match that they play. Then there is also the mana cost and massive loss of tempo that it causes. You will have to spend your entire turn casting mystical teachings and then your next turn casting your tutor target. This effectively adds 4 or 7 extra mana to the total cost of the spell that you searched for. Versatility is wonderful, but a sphinx's revelation for 4-5 in a well tuned list is likely to not only find the answer you need, but give you the life points necessary to ensure that you have the time to cast it. Detention sphere – The reason that this card is not viable for main deck play is very simple: Abrupt Decay. When the cards were in standard together, a sphere getting decayed was definitely a bad thing but it wasn't a crushing play. However in modern the cards that you would be targeting with sphere are much more powerful and when your sphere is destroyed it is a massive blow out and a massive tempo swing in their favor. Then there is also the fact that the only other legal targets for abrupt decay in your deck will be snapcaster mages, meaning that they will always have one wasting space in their hand. By playing detention sphere you are turning on what would otherwise be cards without any rules text on them. Detention sphere is a great option in the sideboard though as the first thing that people will side out are their blank decays. This is an unfortunate situation where a card can be completely blank in the main and stellar in the side. If you choose to use them in the side, be sure to pay attention in game 3 to see if your opponent goes back to their board and expect them to be considering bringing their decays back in. And on that day, Garfield said unto the world "Go ye forth and durdle!" Like the Primer. Glad you touched on the Condescend+Fetching thing. No use in scrying if you pop a fetch right after. If you have a graveyard deck presence in your meta, cards like Relic of Progenitus or Rest in Peace can be brought in along with our hand disruption for the Tron match. Exiling their singleton Eldrazi off the discard effects can sometimes be enough to remove their inevitability. I also recommend Mindbreak Trap as 1-2 of in the sideboard for Esper. It's decent against UWR, great against Tron's Eldrazi and Cavern'd Sundering Titan, and a solid answer for Storm. Great primer, thanks for your work. I am going to be running three Rain of Tears in the side. I have a lot of Tron in my meta, and RoT will do some work, especially when combined with Ghost Quarter, which I prefer to run in this type of deck. Glad you like the primer. If you want to go the rain of tears route, it'd be best to up your black mana count a bit to make sure that you can cast them on turn 3. Getting double black that early is extremely tough. But if you're considering it already, your deck is likely heavier on black already to support it. I'm very happy you posted this thread. I firmly believe Esper Control/Midrange will be on the rise once the new fetchlands arrive, and, like you mentioned, 4 toughness is becoming common. Lightning Bolt/Helix/Electrolyze may not cut it for long. Thoughts? Yes, I always have and always will run 61. Thoughts? Tron/Scapeshift/Storm seems like a tough matchup for me. I'm definitely considering several options. You're very welcome. Like I mentioned in the primer, Ashiok is very risky main deck because if it dies right away you didn't get any value out of it and there are many abrupt decays running around without any other targets except them. With your list I'd trade them for the smothers in your sideboard. I also highly recommend against 3 tectonic edge, it makes casting esper charm on time so much more difficult. In my list I run 2 and even that trips me up more than I'm happy with. As for scapeshift and storm, they're actually fine matches. Game one you can just draw the wrong half of your deck and die, but esper charm mind rot is amazing against them and post board you get thoughtseize which is just as much of a beating when backed up with hard counters. Just play the matches and get comfortable with knowing when you have a clean opening to attack their hand. The best advice I can give you against storm is to kill electromancer on sight with ZERO exceptions. Also depending on the mana they have available you want to either counter the first ritual or the second. If countering the second spell after a cantrip would prevent them from having enough mana to continue wait for it, but if you're unsure just counter them on sight. This risks losing to a past in flames, but with the discard backing you up you should be able to have a counter in reserve for it. Thanks for the advice. That makes sense. I feel comfortable with that swap. Also, I just changed Timely and 1 RiP to 3 Rain of Tears vs Tron. What do you think of the deck, overall? 1. Log Knot/Condescend may prove to be better than Mana Leak, but if we're mentioning Condescend, then why not consider Syncopate? It is better than Condescend. 2. Elixir of Immortality can definitely be implemented here. 3. If you want to run Sorin, Lord of Innistrad, then you should also pack 2-4 Lingering Souls. 4. Spreading Seas is certainly an option. It's more cost efficient than Rain of Tears and can cantrip. It doesn't remove the land, but our main concern is nullifying the effect of a land, not necessarily how many lands our opponent has in play. 5. A Gift/Teachings package can be included here, too. It can even come out of the board as a Plan B or transformational strategy. Good idea. I will disagree vehemently that Syncopate is better than Condescend. Condescend is incredible. Scry 2 is very useful. Spreading Seas is fine, but the main deck it would be used against is Tron, and they will just O Stone. I think Rain of Tears + disruption is generally the way to go against Tron. With Tron being such a pain in the arse, and in general with greedy manabases, what about Spreading seas MB? Do gifts(non-burial)/teachings have place in Esper Controls for more toolbox-oriented playstyle? If so, what could possibly be cut from the deck? I was tinkering to include a singleton Gifts Ungiven to run an artifact package (+ Academy Ruins/Buried Ruin) of finishers/utility (in addition to Win Cat Zenith) - mix of Engineered Explosives, Batterskull, Elixir of Immortality, Wurmcoil Engine mainboard, and possibly sideboarded Pithing Needle, Progenitus Relic, Spellskite. Alternatively, we can search for answers.. Or is it too slow? Good call on the spreading seas, I completely forgot that it was a thing. I'll be sure to add it into the cantrips section. As for the gifts or teachings packages, the short version is they're too slow and almost not possible without green for life from the loam. Longer version plus story time! A while ago I was tinkering around with a bant control list in modern, basically your expected UW shell (like what we have in esper) with green just for bant charm. The idea was that bant charm kills artifacts which are a big deal in modern and is a clean removal spell against any creature you point it at which is more than you can say about lightning bolt. I also had a large gifts package in the board and it was awesome. Literally every time I resolved gifts cleanly I won the game without contest. The problem is that every package relies on casting loam to get something back and with scavenging ooze replacing courser in the BGx decks it gets significantly harder to resolve properly. The thing is that while we do have black mana so we can do the raven's crime + urborg, tomb of yawgmoth combo, but without loam it does nothing. We can easily do the unburial rites + elesh norn, grand cenobite bit, but that isn't worth the 5 sideboard slots dedicated to that, you can just run a pair of extra sweepers or even terminus and be just as good. You do have the ability to run noxious revival, academy ruins, engineered explosives, and think twice piles but that's also a ton of very precious sideboard space that is completely undone by a single tectonic edge. All in all without running loam, a gifts package is just not worth it. If you want to just run the one for value I guess that's fine, but I'd rather just have another snapcaster mage in that case. They both do similar things but snapcaster is cheaper, leaves a body, and doesn't take an entire turn just to set up. As for teachings, it is just way too expensive, plain and simple. A single remand just ruins your day and god forbid they remand the flashback part. I'd much rather have a revelation in it's place. When you cast teachings, you have to get something that is som incredible that it is worth spending your entire turn 4 and turn 5 casting it because teachings effectively adds an additional 4 mana to it's mana cost. Also I'm going to be adding in a general sideboarding guide for the more prominent match ups. The things that you generally want to take out and bring in and the like. Any help here would be great, especially with twin variants as I seem to change my plan weekly against them. Thank you. My teachings/gifts variant went out the window to include a 2nd copy of Sphinx's revelation + mix of removal/sweep for testing. Sigh, I have a problem that I have to keep 3 Planeswalkers in main board to call the deck 'Triumvirate'. Flavour costs. Against Tron - in addition to Thoughtseize/pithing needle and depending on the local/current meta - a mix of rain of tears and extirpate/surgical extraction, plus stony silence, shadow of doubt/aven mindcensor, hushwing gryff could be used; each (maybe not rain of tears) of which are also useful against some other prominent archetypes. In your own sideboard you left deprive, but I think it suffers from being opposite of mana leak - it can horribly hinder you, even a single copy has a chance to pop up early and just sit there, teasing you to set yourself back a turn. Problem is, that our goal is to get to 4 mana for the Cryptic command to go online. Plus, you run ~10ish lands that either come into play tapped or require a payment. Or was it just a placeholder? Running Knight-Errant without that many creatures or permanents seems slightly out of place - yes it has synergy with Gideon, Snapcasters, and Batterskull, and somewhat Cats (because ultimately we want to make a lot of them and then swing for the win, and the indestructible emblem does little, even for the cats - as people are running detention sphere, bile blight and such). Not to say it is not a very good card, but maybe not without more creatures? I don't know, however, how often it has relevance with manlands. But if to count super late-game, why not choose Elspeth, Sun's Senior? The deprive is there in the board for the matches where you need a cheap counter that hits creatures and spells. In those matches you'll never cast it before turn 5. Usually it's scapeshift, UWR, and various combo decks. Basically anytime that your goal is to not advance your game plan but to prevent them from advancing theirs. It's not for something like UR delver where it has a real draw back, in the matches you want it for, it is awesome. Is hitting basic lands really enough to make Rain of Tears better than Fulminator Mage, which can block and blow up a land? If you are not casting it before turn 5, why not Dissipate or Dissolve, or most of all Rewind? If you are putting it for fighting counter wars against i.e. Scapeshift - why not negate, or dispel? In what situation would you rather have Deprive over any counter spell after turn 5? In the matches where you're likely to have a counter war you're never going to have a fight early on. Deprive hits Keranos, primeval titan, remand, and batterskull. Negate and dispel don't hit all of them and if you have the wrong counter at the wrong time the game is over and you've lost. You want the counters in your SB to be cheap so that when you need them, you can hold up multiples at once. Dissolve costs 3 mana which makes it very vulnerable to a remand taking it away or a spell pierce effect. I've yet to be bothered by the draw back because by the time I cast it bouncing a land is no longer relevant. It's like casting path to exile when your opponent has 8 lands in play, the downside has no meaning. Most of those are good options for a "giant monster" slot if that's what you're looking for. Though Sun titan would require you to warp the deck significantly to be worthwhile, wurmcoil engine loses to path to exile, and blood baron is smaller than any goyf or the average sized ooze. I prefer my finishers to have flash so that I can keep up counter magic to protect myself, though if I was willing to tap out for something to just kill people with it'd be the Gravy Train Grave Titan all day every day. I don't like creatures in a control deck that can't beat a goyf in combat and don't have evasion as a rule, but blood baron would be a house in modern if goyf didn't always come down as a 4/5 or scavenging ooze growing that big with ease. When I was playing UWR I used 2 resto and 2 clique and was very happy with them, but without the assistance of burn they lose a lot of value in the beat down department. I really gotta ask, why no thoughtseize in the main? Yeah we can counter most of there threats but sometimes that proactive t1 thoughtseize is just really good and can be backbreaking sometimes. Discard is not good in a pure control deck since you cannot capitalize on it. You really need to keep up in tempo with the redundant decks like affinity, which discard is horrible at doing. Think about it this way you discard their card and pass, they play the next best card that is difficult to remove, now you fell behind on tempo since you have to deal with their other threats while being pressured by the one that is on board. The only reason bgx can get away with running so much discard is because if they cripple someone they can take a lead on the board with a 3/4 goyf or a bob that will run away with card advantage. Esper only wants thoughtseize in combo matchups or against other blue decks to push through key spells. Edit: Adding to my statement. That same scenario is also the reason why bgx decks do not do so well against affinity and specially burn. To survive against redundant decks you really want to have them use up a turn and mana and not just trade one for one. You discard a burn spell but you will take damage from the next burn spell in that same turn cycle. Discard mainboard in control decks are only good in slow formats with lots of countermagic (current standard rev decks) or formats with a lot of non creature based combos (vintage).